The world or most of it, views US airports as substandard, with antiquated facilities, poor design and inconvenient connecting terminals. The 2015 Skytrax survey of the world’s best airports highlights this further, as not one airport in the states made the top 25 in the survey. 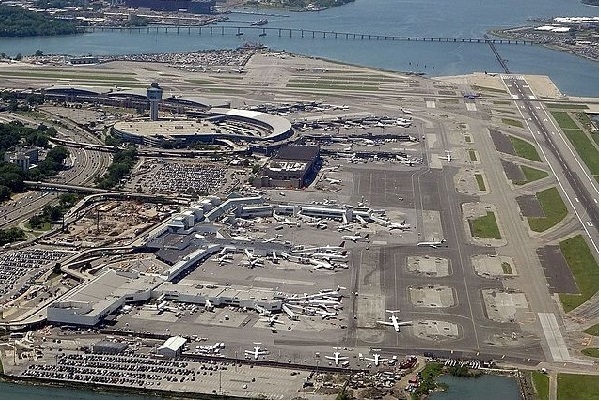 To further highlight the dire state of airport infrastructure, Vice President Joe Biden has likened New York LaGuardia Airport to what one might find in “some third world country”. Clearly its not easy being an American airport these days, however why is this the case? The US may be the world’s top economy, however this is certainly not the impression that travelers form when they are at America’s front door. This ultimately trickles down to supply and demand, and demand for air travel is skyrocketing in the US, at a pace no flexible airport infrastructure can keep up with. Since the industry’s deregulation in 1978, the US commercial air transport industry has been characterized by boom-to-bust cycles. However the great recession of 2007-09 marked a fundamental change in operations and finances and since, growth has been at a continued boom pace. This is not expected to change in the long-term. According to the FAA Aerospace Forecast – Fiscal Years 2015 – 2035, US commercial air carriers are projected to fly 1.71 trillion ASMs by 2035 and transport 1.14 billion enplaned passengers a total of 1.44 trillion passenger miles. This growth has brought out the inefficiencies of airport structures, which were designed and built decades ago to accommodate the traffic demand of that time. That’s not to say that these airports are still the same today, however they certainly haven’t been overhauled to an extent to accommodate today’s demand comfortably. 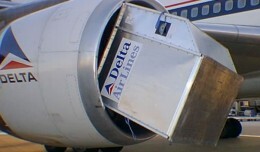 As a result, the seamless passenger experience, which has become an expectation today, has been lost and thus resulting in low passenger evaluations. Automated Passport Control kiosks make going through Customs a breeze. With tight budgets and demand for better detection practices, the introduction of self-service technology has become the answer for many. US airports are leaders in this approach, as self-service devices and kiosks are slowly but surely taking their place in major hubs and even emerging airports. 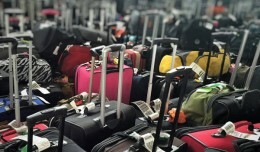 An example of an airport at the forefront of this trend is Miami International Airport. 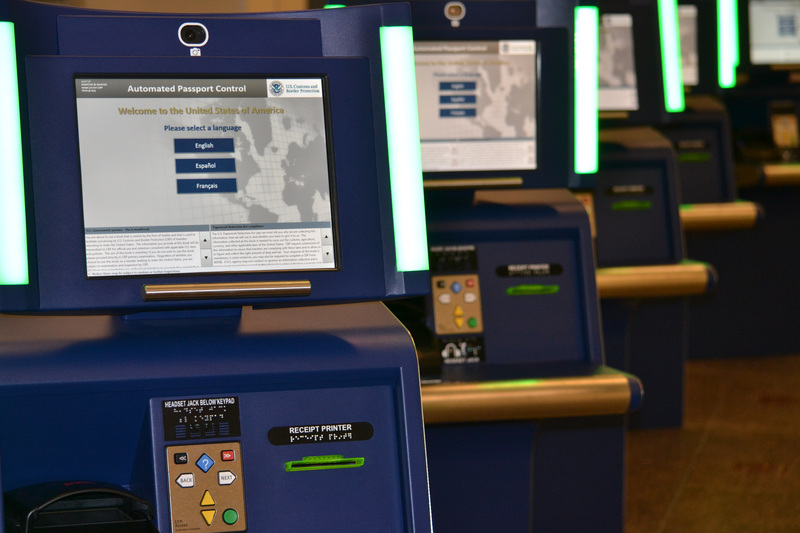 It recently ordered 44 additional Automated Passport Control (APC) kiosks, bringing the airport’s total to 80 kiosks, to help accelerate customs and immigration processing. At Miami and a number of other airports the introduction of self-service technology has been a great success. SITA president for the Americas Paul Houghton said: “The use of SITA’s APC kiosks at MIA has been a huge success, and the reduction in wait times has been significant. 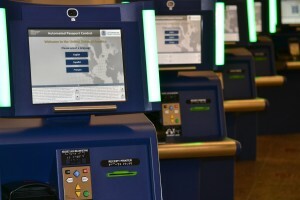 Our kiosks process passengers in less than two minutes, compared to longer waits for a [Custom and Border Patrol] CBP agent during peak travel periods”. This technology is somewhat offering the sought after seamless travel experience, however there is only so much fast and efficient check-in kiosks and e-gates can do when the terminal is congested land-side and air-side due to lack of space and rising service frequencies. The good news is that US airports have been in response mode for a number of years now, as the realization has hit that expansion of facilities and development of infrastructure has become pivotal to maintaining passenger levels. Pivotal as better designed, better functioning facilities could sway passengers to choose certain airports over others, and consequently encourage airlines to invest in the improvements. 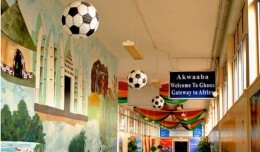 Hub and non-hub airports are more then ever focused on developing strategies and allocating capital funds to expanding facilities and rehabilitating existing assets. Serving as a hub for airlines including American Airlines, United Airlines and Polar Air Cargo, O’Hare is embarking on a $15 billion airport-wide capital investment plan, which is partly underway, and a number of other projects yet to commence. Part of the Investment plan is the O’Hare Modernization Project (OMP). Commenced in 2005, it aims to transform the airport airfield from its current intersecting system of runways to a more efficient system of parallel runways. 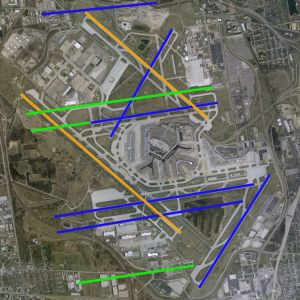 The plan calls for the elimination of two intersecting runways while adding four new runways and enhancing two existing runways resulting in six parallel east-west runways. Overview of ORD’s runway reconfiguration, with runways to be decommissioned in orange. The new configuration is expected to increase capacity by 60% and is expected to substantially reduce delays in all weather conditions. Other ongoing projects include the construction of 11,245 ft. long Runway 9C/27C to be completed in 2020, completion of the South Air Traffic Control tower, construction of the Northeast Cargo Center scheduled for completion in 2021 and development of the consolidated rental car and public parking facility, scheduled for completion in 2018. Before the OMP, aircraft delays at O’Hare were projected to exceed 20 minutes per operation with a level of activity close to one million annually. Upon full completion of the OMP, delays are projected to be below five minutes. Serving as a major hub for airlines including Delta Air Lines, United Airlines, and American Airlines, LAX is currently in the midst of a $8.5 billion capital improvements program, projected to last through 2019. The LAX modernization program consists of more than 20 individual projects and is considered to be the largest public works program in the history of the City. Begun in 2006, the centerpiece is the New Tom Bradley International Terminal (TBIT), which opened to the public in September 2013 with new retail, dining, and gate areas. Other recently completed projects include the renovation of Terminal 6 and airfield improvements designed to accommodate the A380, which a number of airlines are now operating into the airport. Additionally, there are other major projects in planning or under construction that are in support of the program. These include a new Central Utility Plant, new taxiways and taxi lanes, and major renovations and infrastructure upgrades in all of the other terminals. Former Los Angeles World Airports executive director Gina Marie Lindsey, who oversaw the initial implementation of the LAX overhaul, highlighted the need to develop now more than ever stating the trend is not expected to continue the course of growth if airport facilities are not renovated to appeal to the modern traveler. Ms Lindsey said, “We have facilities that are not only dated and not meeting the current customer expectations but we also have facilities that are falling apart” adding “Basically, we are rebuilding LAX”. Despite the late engagement in developing and modernizing airport infrastructure, and loud criticism from industry stakeholders labeling large-scale projects ‘too ambitious’ for the current economic climate, US airports are fast in catching up to other regions in the world and are well on their way in leading the next generation of modern airports. What has stymied airport improvements over the past decades has been local opposition to any project with the title airport in it. Airports should be free of local laws and public groups that slow airport improvements. It took 20 years for Boston’s Logan airport to add a 5000 foot runway entirely on airport land. Many other airports have had projects put on hold due to local opposition and its this type problem that still remains today. Airports should only have the FAA be involved in planning and approvals, not local obstructionist laws that are always anti-airport. Federal law must be enacted to remove involvement by local groups as long as the improvements are on airport land. 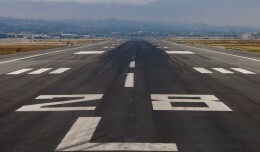 If more land needs to be taken, a panel of local officials, the FAA and airport professionals should work out a plan that reasonably meets the needs of the airport and works out solutions for roads that need to be rerouted and other local concerns.